Fiesta Restaurant Group, Inc. owns and operates Pollo Tropical. There are over 160 branches all over the United States. It was founded by Larry & Stuart Harris back in 1988 in Miami, Florida. 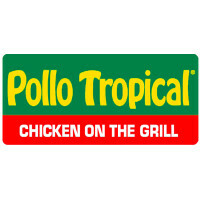 Pollo Tropical or Tropical Chicken is best known for their marinated and flame grilled chicken and also their rice and beans. Pollo tropical has a Caribbean menu for your parties and gatherings. They cater to business meetings, outdoor parties, and even weddings. What people remember about Pollo Tropical is the food made from scratch. The open flame grilling gives their food its signature flavor. They have tailored their menu to supply for big and small events alike. Getting catering from them is made easier by their catering specialists who are available seven days a week. For your event needs, Pollo tropical can do all the cooking so you can focus on the venue, invitations, entertainment. They even provide the plates and utensils. Their menu features packages that are set for 15, 25, 50, and even 100 people. You can just pick which items you like and will not have to worry about if it’s enough for everybody. Pollo tropical wants their customers to have a great dining experience. Their catering specialist will help you with the food needs for your party. You can order online through the Pollo Tropical Website or better yet, call their catering specialist. They will be happy to assist you. Pick-ups can be done from any branch during 10:30am to 11:00pm. For delivery, there a minimum order required and a delivery charge is added. A catering specialist is available to assist you, just give them a call. If you need additional cutlery and utensils aside from the ones already provided; they can help you. They are available seven days a week. They accept payment through cash, MasterCard, Visa, and American Express. However, Pollo Tropical does not accept personal checks. Order at least one business day ahead of time to make sure your order can be accommodated. Their catering menu comes in pre-set orders for groups so you won’t have to worry about every individual order. You can choose from Classic Pollo, Caribbean BBQ, Grilled Tropical Wings and Mojo Roast Pork. They offer competitive pricing for their products and they use the freshest ingredients without hormones and trans-fat. Their website has a FAQ page which has all the important information about concerns on catering. They have guidelines for a how much to order based on the number of people. When ordering chicken, a quarter is enough for one person. While for roast pork, around 4lbs serves around 10 to 12 people. Then for the Caribbean ribs, half a rack typically is enough for one person. A group of 15 people getting Pollo package with chicken or Mojo Roast Pork or Calypso beef with rice, beans, two other side dishes, and dips would cost around $100 to $130. A bigger group of 25 people getting Bone-In Chicken, a choice of white, brown or yellow rice, black beans, rolls and sides would cost around $200 to $240. A party of 50 people getting Bone-In Chicken, any type of rice, rolls and a side dish would cost around $380 to $450.